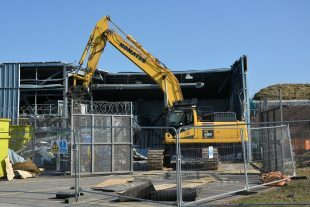 A series of concrete bunkers that once stored Plutonium Contaminated Materials (PCM) look set to be demolished at least 4 years earlier than expected - and for £30 million less than expected. 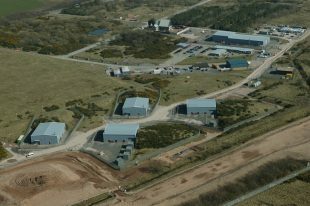 Located at the Low Level Waste Repository near Drigg, Cumbria, the bunkers were known as magazines and stored PCM generated from operations at Sellafield in the 1950s-1960s. 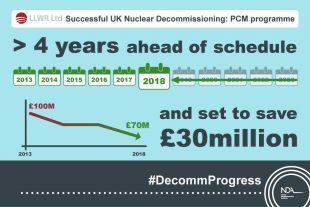 Thanks to a dedicated non-stop effort to seek out efficiencies and improvements, the PCM Decommissioning Programme team last year delivered more work than planned and achieved the cost savings, without suffering any lost-time accidents. The team had already exceeded expectations by accelerating work that started in April 2013 to reduce its 10-year decommissioning programme to 6 years. Now the programme is on course to be completed in 2018 - ahead even of the reduced 6-year timetable. The original cost forecast, meanwhile, is down from £100 million to less than £70 million. Last year saw more than 1,600 air-fed suit entries – more than the rest of the NDA estate combined and a 30 per cent increase from the previous year with a smaller team. I am extremely proud and delighted in what the PCM Decommissioning team has achieved over the last 12 months. This is a culmination of hard work, dedication, focus and commitment over the previous two years where LLWR Ltd and NSG, our decommissioning partner, have formed a strong and delivery-focused integrated team. There have been difficult times in the past but the team stuck to the task and is now reaping the rewards. We can’t get complacent and there are still some major hurdles to overcome to deliver to our aspirational dates and cost savings. 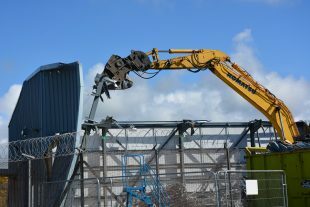 Following decommissioning, the remaining five magazines will eventually be demolished, making space for future development projects. Managing the PCM legacy is a priority for the site. Improvements and efficiencies are always on the team agenda. 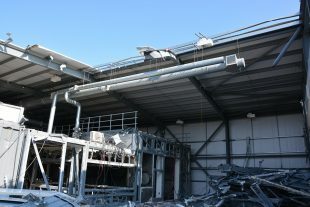 For instance, when Magazine 10’s void concrete ceiling was taken away to allow access for decontamination, 144 slabs each weighing around 300kg had to be removed. But the team developed a more efficient method and applied to their learning to the next magazine, where only 27 slabs had to be removed before strategically-drilled holes were able to provide access for checking contamination, saving time and money. The team has gone from strength to strength, the benefit of our close working relationship is evident with the savings that we are currently realising. From the start we worked hard at collaborating. We formed a leadership team to take a step back and really look at all our current operations and planned activities, to tease out savings and better ways to deliver the works. This made a huge difference.